Blast Furnace Slag by European Recycle Ltd.. Supplier from United Kingdom. Product Id 719233. GOLD Member European Recycle Ltd. The granulated blast-furnace slag is sand-type slag manufactured by spraying high-pressure water jets on a blast-furnace molten slag. 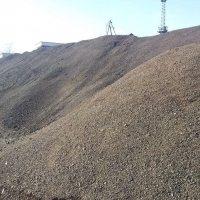 We have 3,330 Ton of this material ready for shipment and it can be supplied to the domestic and the overseas markets for cement and ground granulated blast-furnace slag production. This material is manufactured from molten blast-furnace slag by air-cooling process. The product is not crushed and screened. The material at visual inspection appears as formed by lumps of different size. It is classified has a waste with the following EWC Code: 10.02.01. We have available10,300 MT ready for shipment . 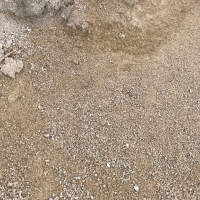 The material must be crushed in accordance with the specified application and sold as materials for road base course material, rock fiber, coarse concrete aggregates and cement clinker raw materials. Blast Furnace Slag is a by-product of the manufacturing of steel in a blast furnace. Initially, in its molten form, it is diverted to a granulator where it is quenched with water and rapidly cooled to form glassy, non-metallic granules which are silicates and aluminosilicates of calcium. 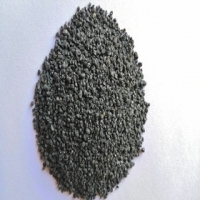 These granules are dried to produce Granulated Blast Furnace Slag (GBFS) and then ground to a suitable fineness to produce Ground Granulated Blast Furnace Slag (GGBFS). When used as a cementitious material in concrete, GGBFS enhances long-term performance and durability characteristics while reducing life-cycle and maintenance costs. Search More Like "Blast Furnace Slag"